Um hello, best food ever. Maybe it's because I am getting enormously pregnant and have cravings for fruit. Or maybe it's because I was in a super super rush and needed a dessert fast for a get-together. Either way: WOAH MAMA! This is a dessert that will rock your socks off. 1 batch of sugar cookie dough (pre-made, homemade, or + egg and butter mix packet. I opted for number three because of the time restrictions. Save the flops for your hubby... make sure he knows not to eat the good ones! 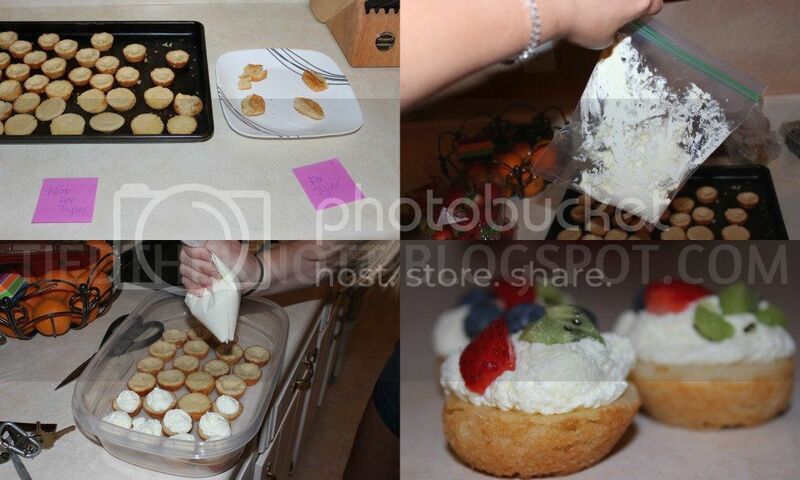 Put about a teaspoon of cookie dough into the bottom of a mini muffin tin and flatten. Bake for 7-9 minutes or until it is just starting to brown on the outsides. Leave it a little gooey as it makes the cup that much better. Let cool either in the fridge or on a cooling rack. I used the fridge so I could get done quick (do you see a trend??). Mix together the pudding and Cool Whip until creamy. Now I am a little OCD so I like the cream to look pretty. Instead of spooning the mixture onto the cooled cookie, I put it into a quart sized baggie, let out air and cut off one of the bottom corners. It essentially makes a cheap (yet effective) piping tool. Top all cookies with mixture. 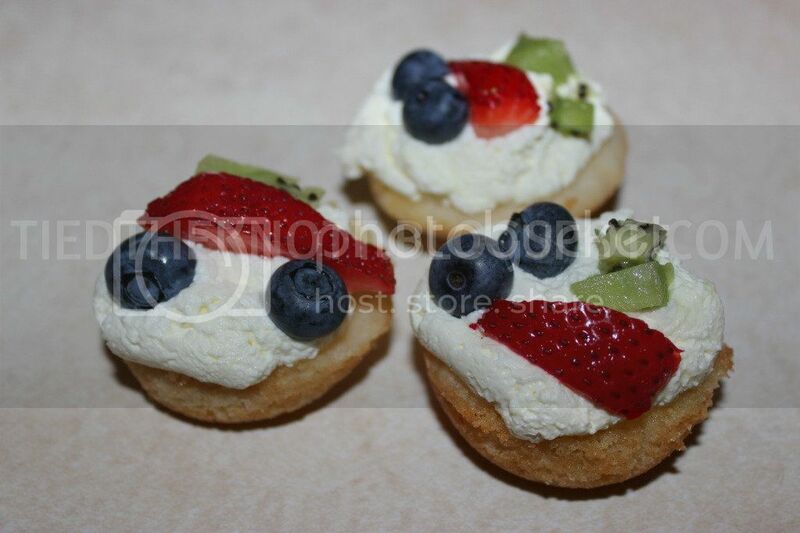 Slice the strawberries and chop the kiwi and place a mixture on top of the cookie/cream and SERVE! If you need it for later, just be sure to keep cool. Voila! 20 minutes later and your guests are happy (and oozing over this amazing dish).